If you are interested in meeting the state minimum requirement for the 8 hour CCW and have already taken one of the AimHi first shots classes this class will get you 3 hours closer to that requirement. This class will give you hands on experience with center fire handguns in a relaxed, informal atmosphere. Review the basics of safety, handling, and shooting a handgun in a group atmosphere where you will feel right at home with other novice shooters. We guarantee you will enjoy this class so much you will leave with a smile on your face! Sign up for this three-hour co-ed class for a fun, educational handgun experience. Class size is limited to twelve, covers handgun safety (both Semi-auto and Revolver), safe handling, safe unloading, shooting fundamentals, and components. 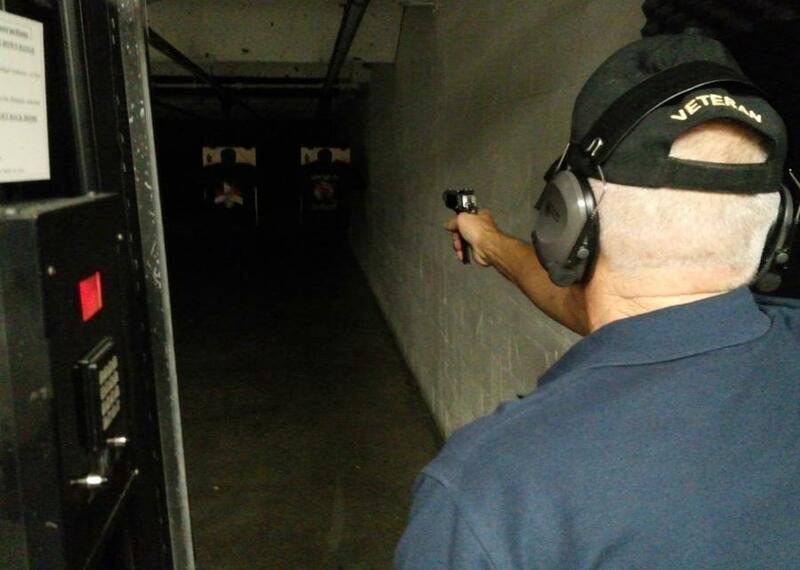 On the range students practice shooting both .38 and .357 caliber revolvers and 9mm semi auto pistols on our indoor range. Low light shooting is also included in this class, shooting with a tactical light and night sights.